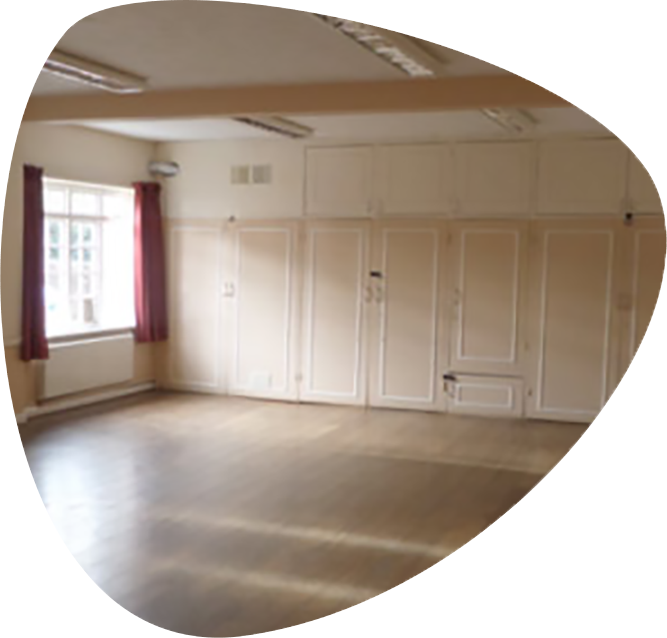 Our smaller hall, the Jubilee Room, measures 10.2 x 6.1 metres, and will accommodate 100 people seated in rows or 50 seated at tables. With access to the Jubilee kitchen via a serving hatch, this makes a popular venue to host children’s Birthday parties and other smaller events where catering is required. There is also access to a small outside patio area via French doors.